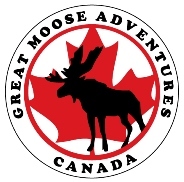 Great Moose Adventures - We Love Food! 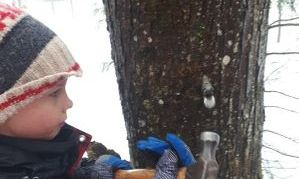 Meal times are very important at Great Moose Adventures. Whether children are here for summer camp, school or just a day program on the weekend, they all benefit from our approach toward food and nutrition. Our programs are very active so bodies, minds & souls need to be well fed. 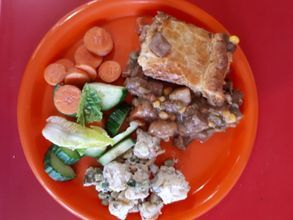 The dining room is the heart of the lodge where our students and teachers come together to share meals and develop community spirit, respectful behaviour and healthy life long dietary habits. 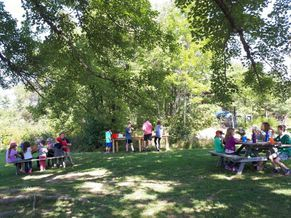 Meals are not rushed, but rather used as an opportunity to slow down, enjoy food and each other's company before heading back out into the forest or classrooms for more play, learning & adventure. 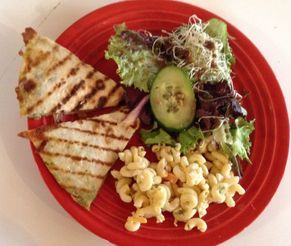 Tasty quesadillas, pasta & salad. Outdoor eating under the Great Maple. 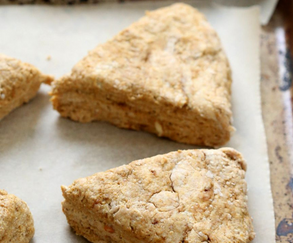 Pumpkin scones taste better when the pumkins are pulled straight from the garden. 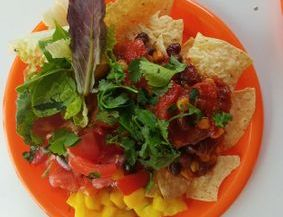 We endeavor to offer meals which fill bellies and develop an understanding of what a healthy, broad and balanced diet looks like. Through food options, gardening and food studies, discussion and teacher modelling we encourage eating and cooking habits with the aim of helping children to make good life choices for their physical & mental well being. Alternative diets and foods from around the world feature strongly in our kitchen. Having a growth mindset in terms of food is a big deal at GMA. There are always classic, kid friendly options as a back up in case they don't enjoy special dishes...yet! 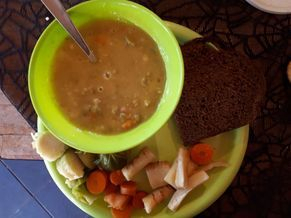 Split pea soup, veggies from the garden & freshly baked bread. Hearty stews are lovely in the winter. Where does our food come from and who prepares it? We grow as much of our own food as possible in our garden and greenhouse and also source some items from local producers. All food is prepared fresh on site in our open kitchen, which is inspected regularly by the Simcoe Muskoka District Health Unit. Our kitchen leaders, Deanna & Jacqui bring a wealth of experience and skills along with their educational backgrounds. As such we have a kitchen which not only prepares amazing food but is a classroom for the children to hone their own skills and enjoyment of cooking. 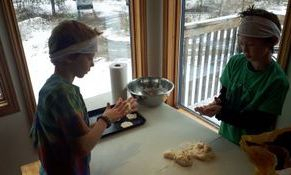 Naan bread dough preparation by our GMA Academy students. 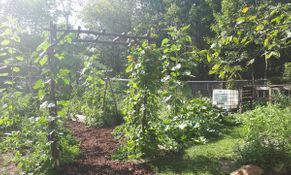 The garden provides lots of our vegetables and a few fruits too. We can provide tasty and nutritious meals for almost all dietary needs. We work with parents to make sure that everyone who comes to GMA is well fed and kept safe. Parents are asked to let us know of any religious, lifestyle or medical food needs when they register for a program and we'll be in touch if we need anymore information.